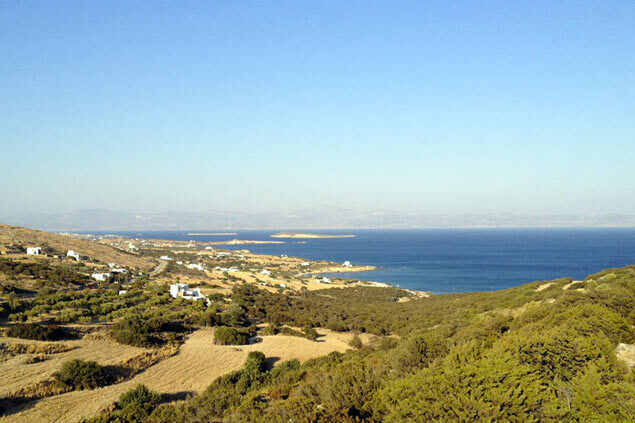 About a hundred kilometres to the East of Athens, discover the Cyclades archipelago! Paros, Santorini, Mykonos, Antiparos, Kea, Koufonissia, Sifnos, Syros and Tinos form part of the flagship islands to visit, each with its own character and traditions. Let’s go to Paros today! Privileged with a Mediterranean climate and a very rich past, the little Greek island of Paros is both a picture postcard destination and a history book. Once famous for its flourishing commerce and precious marble, it now thrives on tourism, following in the footsteps of other Cyclades islands. History lovers will be pleased to explore the archeological museum of the island, providing pieces from neolithic times until the beginning of Christianism, including small statues and mosaics. Also, do not miss the Byzantine museum, which has a precious collection coming from the post-byzantine period. At last, sculpture lovers will find their happiness in Nikos Perantinos museum, where are exposed all the work of this talented Greek sculptor. A must-do! As an island of Egee sea, its environment is heavenly, and its views over sea are breathtaking. From coastlines topped with traditional white houses to picturesque villages hidden in the mountains, Paros offers a unique variety of landscapes and exceptional natural beauty. Indeed, its beaches are of rare beauty: the sand is white and fine, and the water is of an hypnotizing blue. 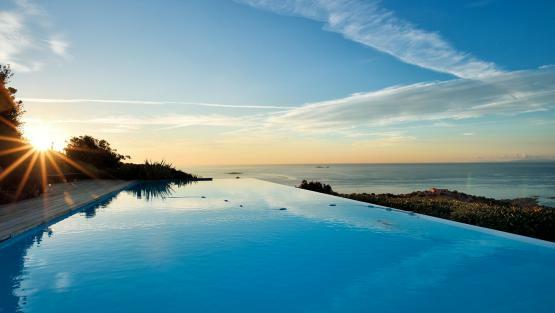 For a family trip, choose Marcello Beach, which provides numerous terraces on the seaside, for the gourmets! You would rather explore a wild beach? Head to Kolympḗthres! Between massive stones and white sand, the setting is authentic and gorgeous. Don’t miss it! For the young like their elders, numerous activities are available on the island. In addition to all aquatic sports that you can treat yourself with, your kids will convince you to have a day in the very reputed aquatic park Aqua Paros. For adults and friends nights, know that Paros nightlife is just as good as the one in Mykonos! The capital, Paroikia, welcomes visitors to its gentle bustle, like the Saint Tropez of the Cyclades. Naoussa also provides an animated nightlife. 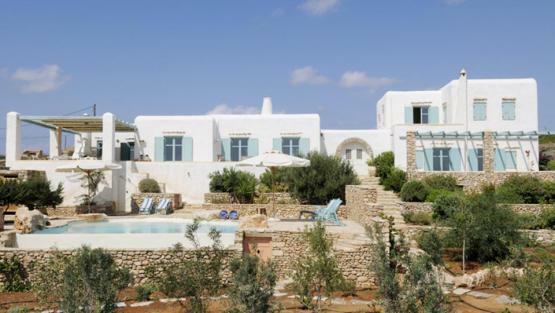 At the four corners of the island Villanovo offers you beautiful holiday homes with the typical architecture of the Cyclades. The immaculately white facades overhang the crystal waters of the Aegean and offer magnificent views. 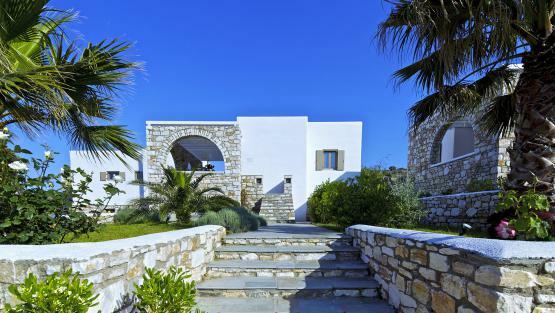 Our villa rentals in Paros will captivate you with their elegantly designed internal and external spaces. Choose a villa with private pool, house staff, with direct access to the beach, or all at once: it is only yours to choose! Furniture, decor, and equipment: nothing has been left to chance! Depending on your requirements, additional services are offered should you wish: domestic staff, laundry and the organisation of activities. The Villanovo service for you! 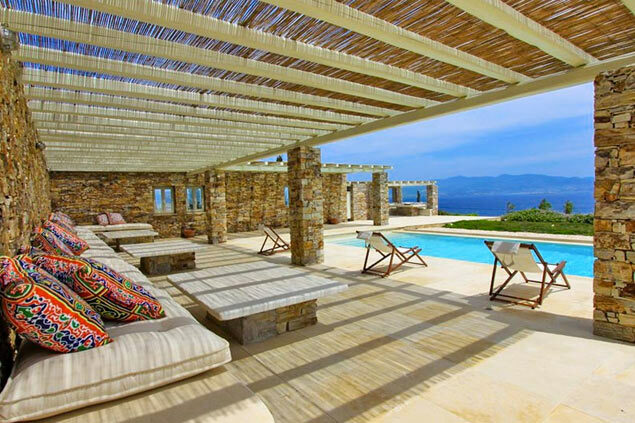 Our villa advisers are all experts at selecting the villa that will satisfy you in Paros. 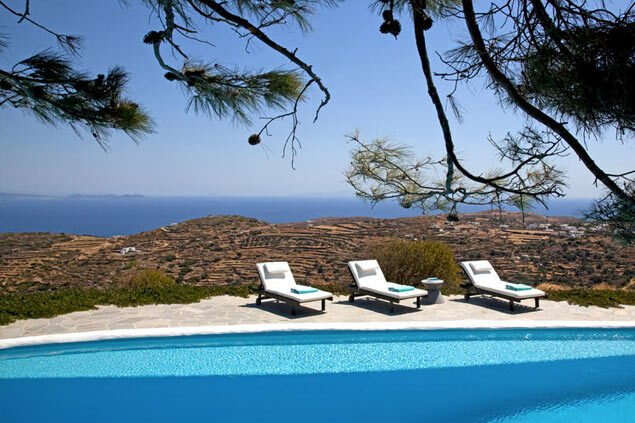 They will guide you to choose the right villa rental in Paros and they will work with you to plan your vacation according to your needs and requests. We are there for you at arrival arranging taxi transfer to your villa, overseeing all details including car rental arrangements if required. Our local hosts based in Paros will help you book the best or trendiest restaurants, share their secret places to eat, to shop or to go out or visit. The villas staff will also be able to assist you anytime and take care of all requests you may have during your stay. Tuscany embraces art through its history, its dazzling countryside which looks like an old master painting, its rich heritage, its colourful food and its fine wines, such as the famous Chianti. Experience the pleasures of this magnificent Italian region by renting a villa in Tuscany. 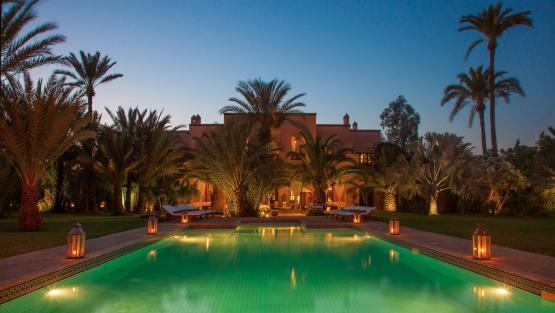 We have an excellent selection of stunning villas with all the comforts you need, thanks to our tailor-made service. As an excellent cultural destination, Tuscany cities are a must-see when one is interested in the Italian culture. Among them, Florence: the cradle of the Italian Renaissance. From the Galleria dell’ Accademia hosting “David” from Michel-Ange and “The birth of Venus” from Botticelli to Ponte Vecchio and its jewelries or the Palazzo Pitti, which used to be the property of the influent family of the Medicis, one needs a full life to explore the whole of this cultural goldmine. And the list goes on with cities such as Siena, San Gimignano and Arezzo, with a specific picturesque charm. You got it, wherever you’ll go, Tuscany will seduce you by its infinite culture and the charm of its landscapes. Our properties are close to famous towns like Pisa, known for the impressive Tower of Pisa and the equally famous white truffle. You will be able to make the most of this varied region, from the famous Apuan Alps to the edges of the Mediterranean. Its culinary specialities and luxurious seaside towns make it an area loved by stars like Sting, who even has a house there. There are numerous architectural sights. Florence is one of the flagships for art lovers all around the world. During your walks you can admire the hills covered with cypress trees, walk over the Ponte Vecchio and stroll in the Boboli Gardens. Or walk down the Via dei Tornabuoni and enjoy browsing in famous designer stores like Versace or Gucci. Rent a villa in Tuscany and make the most of one of the most beautiful regions in Italy. 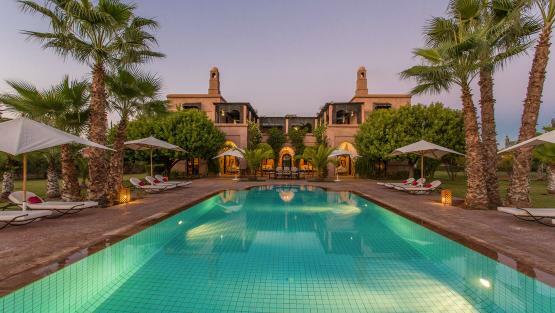 Our team is able to meet the most demanding requirements and offers extra complimentary services such as, a baby-sitter for the bambinos, a chef to prepare exquisite meals, and car hire. In addition to it, offer you the luxury of a villa with a private pool, house staff or gym, in order to satisfy all your desires at home. Trust us with your holidays, we're here to help.